Keep your Mini Cooper's wheels clean with the Posi Quiet Metallic Brake Pads! Hate dusty, dirty and grime filled rims? Do your noisy brakes cause an unpleasant driving experience? Centric Posi Quiet Brake Pads for the Mini Cooper offer the solution. Centric Parts uses technology which pads perform with the same quality of stock pads or even better, while making almost no dust or noise. All Posi Quiet brake pads are manufactured using the same positive molding process utilized by OE (Original Equipment) suppliers. The main problems with other brake pads are noise and vibration. Centric Posi Quiet Brake Pads for the Mini Cooper recognized these issues and ensures proper fitment in the caliper virtually eliminating noise associated with pad vibration. Centric Parts is focused on remanufacturing brake pads to the highest quality. Ensuring the utmost attention to detail, every part number is inspected and cross-checked for quality control purposes throughout the entire remanufacturing process - from disassembly, cleaning and testing. 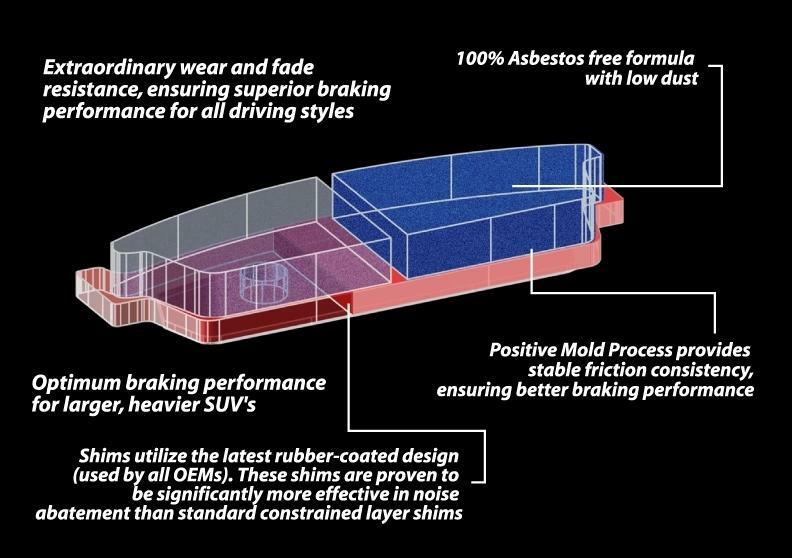 Quality and innovation define Centric Posi Quiet Brake Pads for the Mini Cooper. Centric Parts' commitment to excellence begins with their research and development team: Experts at sourcing parts, testing products and recognizing and solving the challenges technicians and distributors experience. Centric's award winning catalogs and technical guides have proven to set the highest standards in the industry.